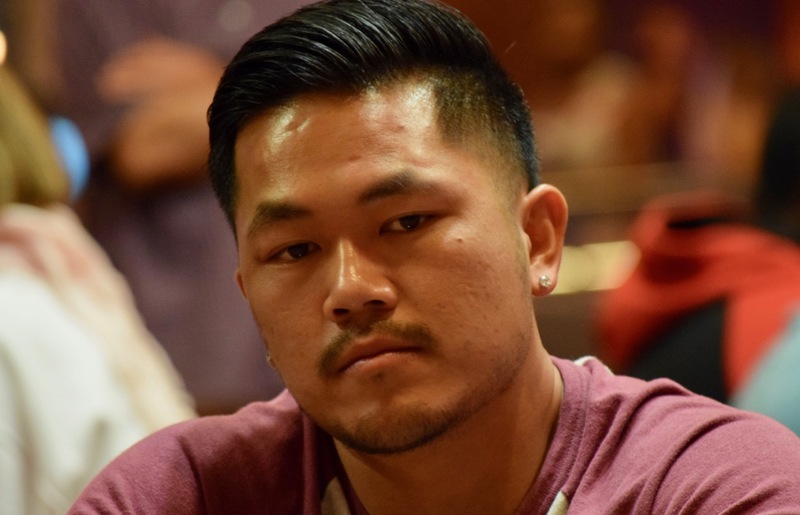 Travis Fujisaka gets all his chips in the middle against Tuan Mai. Travis has Tuan covered and has Aces to Tuan's Tens. Travis is left with 6BB and Tuan had 45BB.